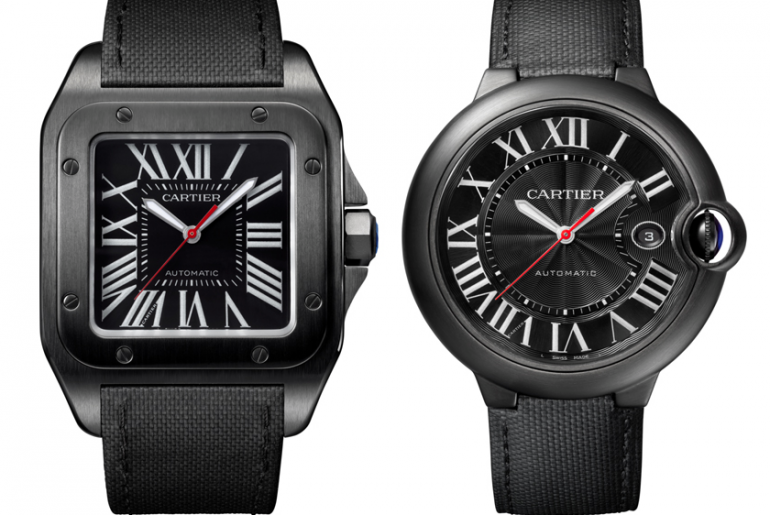 At this year’s SIHH watch fair in Geneva, the new generation of Cartier Santos watch made it’s debut. 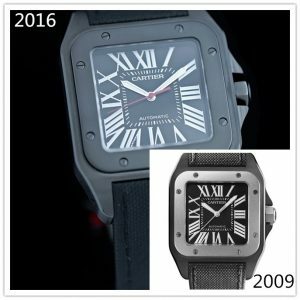 Those who love and wear Cartier Santos watches pay attention to the differences between the new and the old models in case of wrong selections. 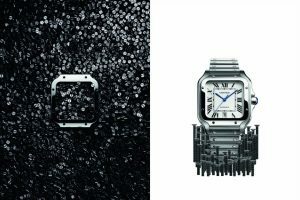 Bleu De Cartier, Tank and Santos deserve to be regarded as three flagship products of Cartier watch series. Bleu De Cartier is the Number one by sale, and Santos takes either the second place or the third. 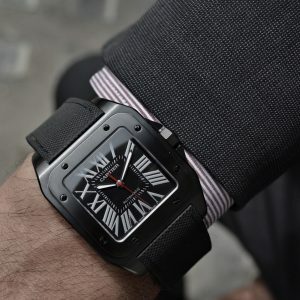 With leather straps and square bezels with eight screws, Cartier Santos 100 was launched in 2004 and it has a 14-year history so far. 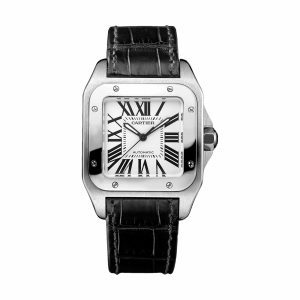 The new Santos inherits features of Cartier Santos watch. In a word, the new models are similar to Santos 100, but its every detail has changed. 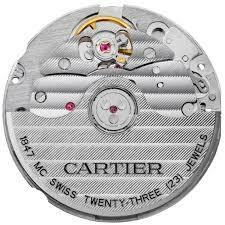 As for the product upgrade, Cartier hot-selling series, including Santos, have one feature in common with Rolex. It’s that the appearance has unobvious variation however the manufacturers upgrade a classic wristwatch. 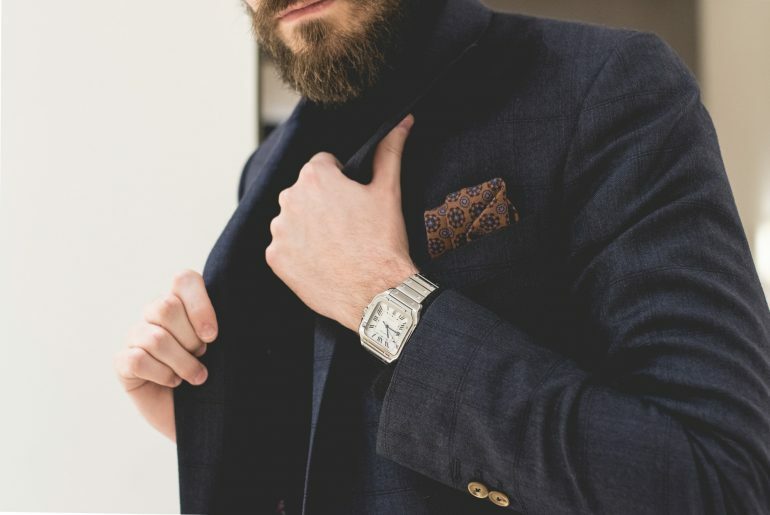 For example, the appearance of a Rolex Submariner watch has few changes in more than 50 years. Therefore Rolex Submariner watch has been one of the most recognizable series across the world. Let’s go and see some variations in detail. 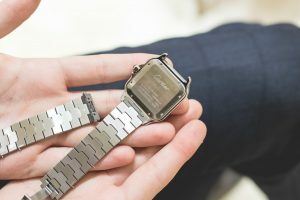 The new Santos watch has more variations in appearance. First, the hands are upgraded from ordinary luminous hands to blue steel version. The new scales return back to the edition of the first Santos watch. Additional date aperture is another feature of the new generation. 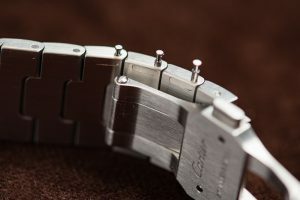 Many complain that Cartier watches with Swiss universal movements fail to match with the price, since Rolex, Omega, Jaeger-LeCoultre at a similar price are equipped with in-house movements. 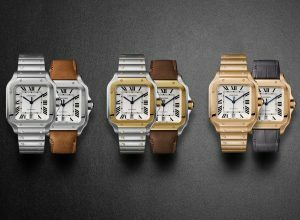 The new generation of Cartier Santos is equipped with Cal. 1847MC, a in-house self-winding mechanical movement which has 23 jewels and provides 42-hour power reserve. 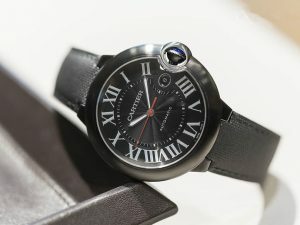 Cle De Cartier watch is equipped with Cal. 1847MC, too. 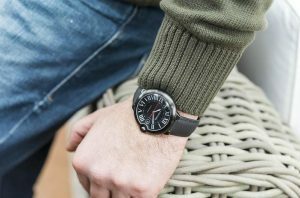 The new Santos watch has a quick switch between the steel bracelet and the leather strap without the help of any tools like Vacheron Constantin Overseas Collection. 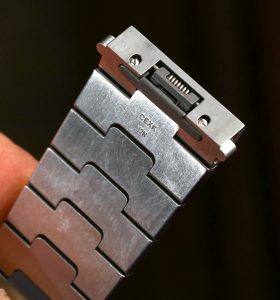 What’s more, smart links of the steel bracelet can be removed or assembled together by hand. I’m afraid that the design is the most practical function. 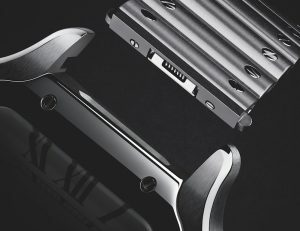 The technology for smart links of the steel bracelet is worth popularizing in the watchmaking. Available in large(39.8*47.5mm) and medium(35.1*41.9mm) size, the new Santos includes all-steel edition, yellow gold and steel edition, rose gold and yellow gold edition. It must be popular with the public in future.